If you haven’t yet experienced Bendigo but have always wanted to, we’ve pulled together the top 5 must-visit attractions that are sure to give you a good taste of what this beautiful regional city has to offer. Your first stop should be to take a ride on one of Bendigo’s iconic talking trams. 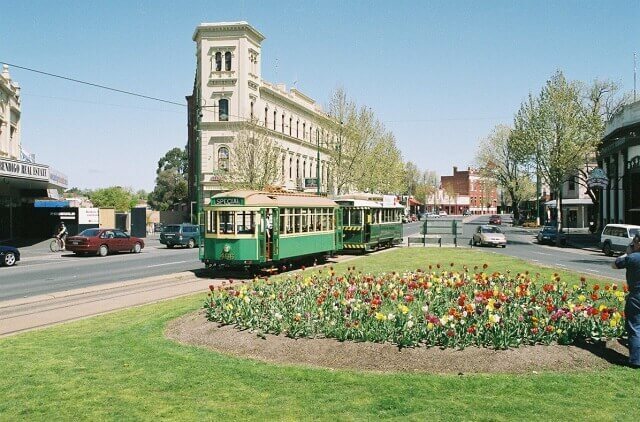 This fleet of beautifully refurbished vintage trams will help you familiarise yourself with the city by taking you on a tour of some of Bendigo’s main attractions, including Alexandra Fountain, the Sacred Heart Cathedral and the Pall Mall promenade. Either sit back, relax and enjoy the ride while listening to entertaining stories about the history of the city, or hop on and off as you please if you want to take a better look at any of the attractions along the way. 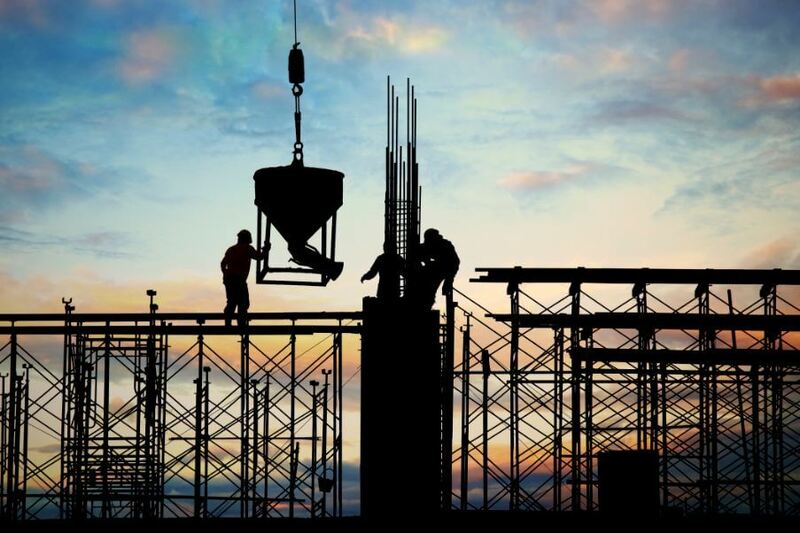 In case you didn’t know, the city of Bendigo was birthed during the acclaimed Victorian Gold Rush era, at the time, holding claim to the title of the richest city in the world! With such a rich gold rush history, no visit to Bendigo would be complete without developing an appreciation for the trade the beautiful city was built on—and the best way to do it is with a visit to the Central Deborah Gold Mine. Famed as Australia’s deepest underground mine tour, you can delve underground to an incredible 228 meters to truly experience what it was like to be a gold miner in the 1900s. But don’t despair if the idea of going the full 228 meters underground makes you a little weak at the knees, as they also offer tours that only go 61 meters or 85 meters deep for the slightly less daring amongst us. After you’ve experience what life was like underground during the gold rush, the next step is to see what life was like above the surface in Bendigo during the Victorian era. Resulting from its wealthy history, Bendigo boasts being home to some of the most breathtaking Victorian architecture around. Wandering around the city you’ll notice many of the buildings pay homage to the original European-inspired architecture of a bygone era, but have been repurposed to accommodate the cosmopolitan lifestyle enjoyed in the Bendigo of today. However, there are still plenty of notable architectural show-stoppers of true grandeur that are well worth a visit, including the Bendigo Town Hall, the Post Office (now the Bendigo Visitor Centre), the Ulumburra Theatre and the Bendigo Art Gallery. While these will give you a good taste of the city’s impressive architecture, if you still want more, Bendigo Tourism have also developed a waking tour of Bendigo’s historic buildings to help you to experience the full raft of striking architecture throughout the city. Something you may not know about Bendigo is that it has a rich Chinese history—in fact, in the mid-1800s, an incredible 20 percent of Bendigo’s population hailed from China. Paying a visit to the Dai Gum San precinct will get you well-acquainted with Bendigo’s Chinese cultural history, featuring the famed Golden Dragon Museum, the Yi Yuan Gardens and the Kuan Yin Temple. 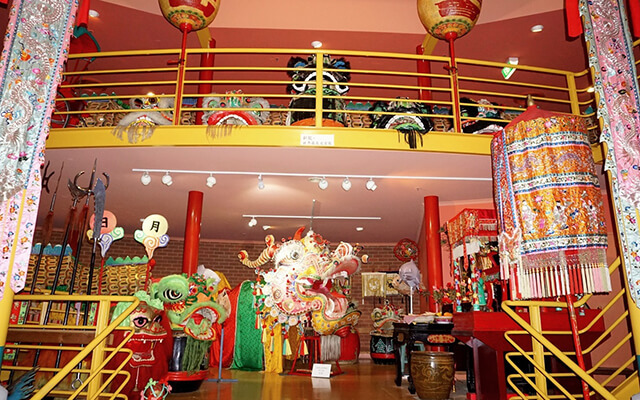 Joss House Temple is also well worth a visit, giving you the opportunity to discover more about the beliefs and stories of the gold-seeking Chinese in the heritage-listed hand-made brick constructed temple, which is one of the oldest examples of its kind in Australia. Once you’ve familiarised yourself with this gorgeous regional city, pay a visit to one of the city’s many serene parks and gardens which offer an ideal opportunity to relax and unwind. Whether you chose to chill out at the Bendigo Royal Botanic Gardens, Rosalind Park, Kennington Reservoir, Lake Weerona, Lake Eppalock or at any of Bendigo’s other beautiful parks and gardens, this will give you a good taste of the more tranquil side of Bendigo’s personality. Fallen in love with Bendigo? 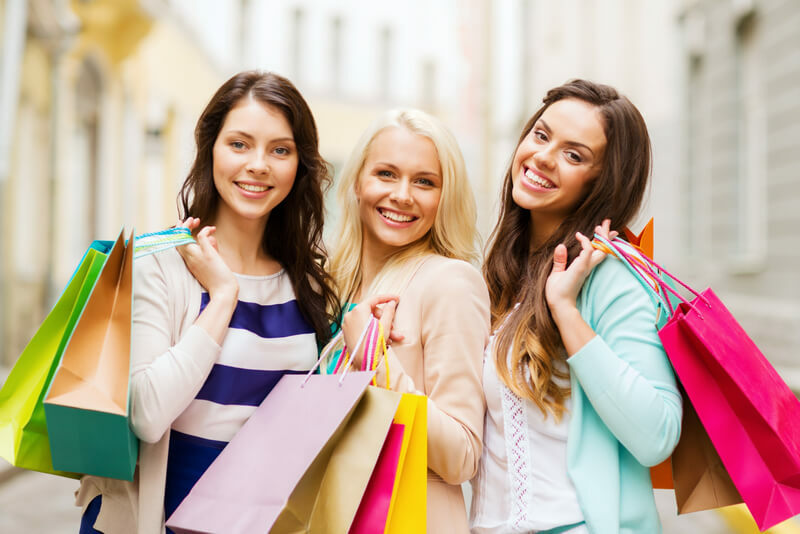 Once you’ve experienced a little of what Bendigo has to offer, you’ll most likely fall in love with it and want to live the Bendigo lifestyle every day. 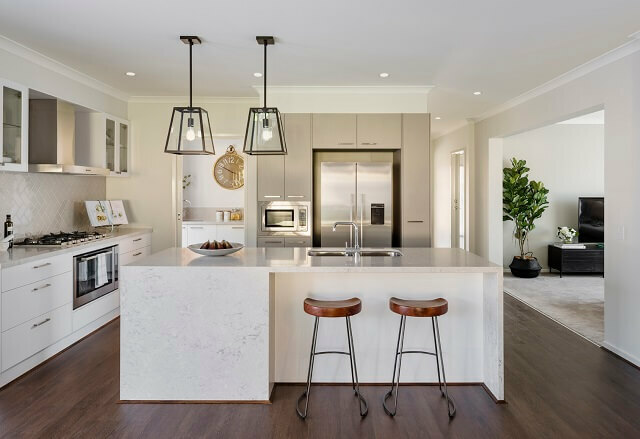 Dennis Family Homes makes it easy to get established in Bendigo, with a great range of stylish and affordable house and land packages to choose from in suburbs like Golden Square, Kangaroo Flat, Eaglehawk, Epsom, Ascot and Strathfieldsaye. Contact us or visit our Bendigo Display Centre to find out how we can help you make the move to Bendigo and start living the life you’ve always wanted.